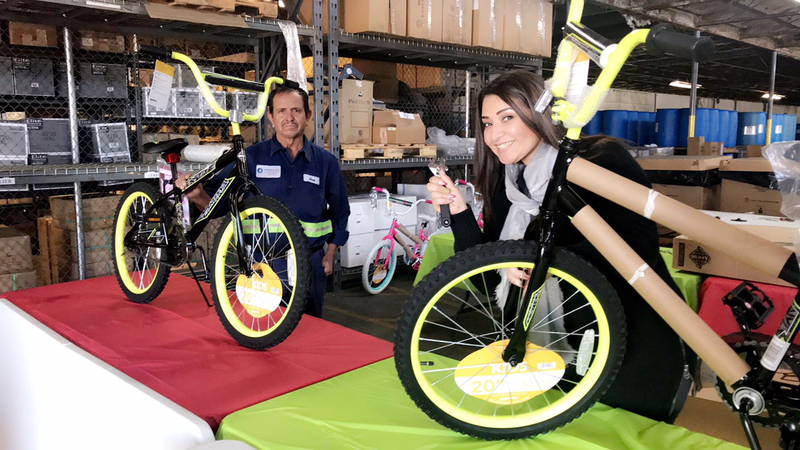 Employees Donate Their Time This Holiday Season - World Oil Corp.
Jose Arellano and Maria Cortes are pictured here assembling bikes bound for kids in the community this holiday season. 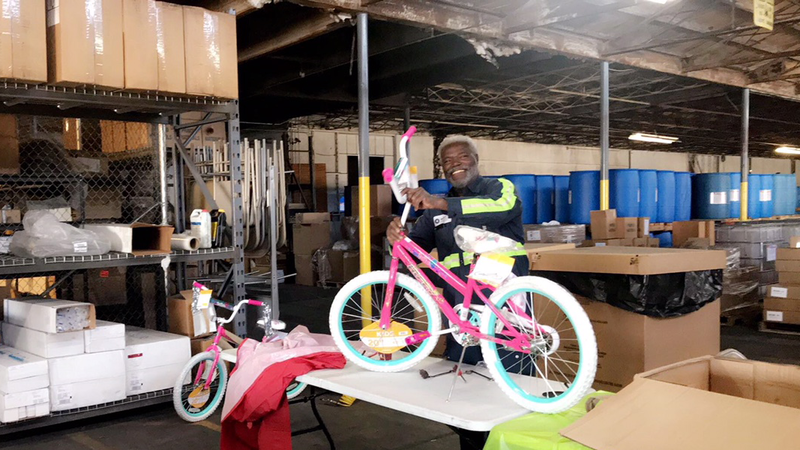 World Oil is participating again in the Champions of Caring Connections Annual Christmas Toy Give Away. 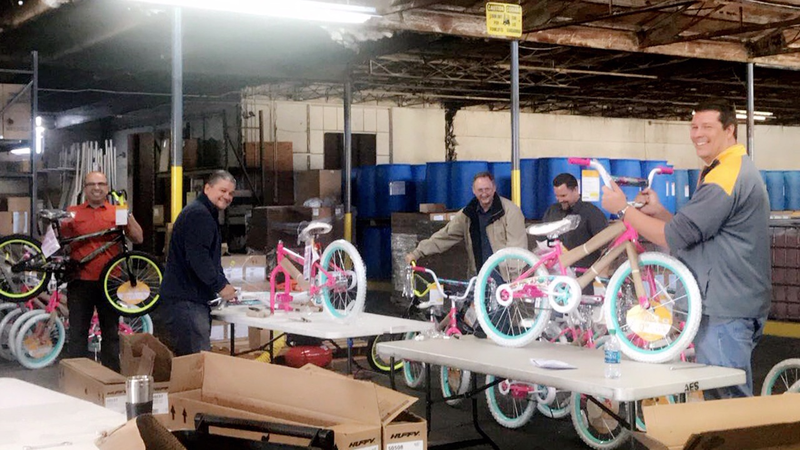 The company and its employees donated both money and their time to assemble the bikes that will be distributed at the annual Caring Connections Christmas celebration. This is the 11th year for the event and World Oil will build 100 bikes for the event. Gregory Francois stops by to lend a hand. 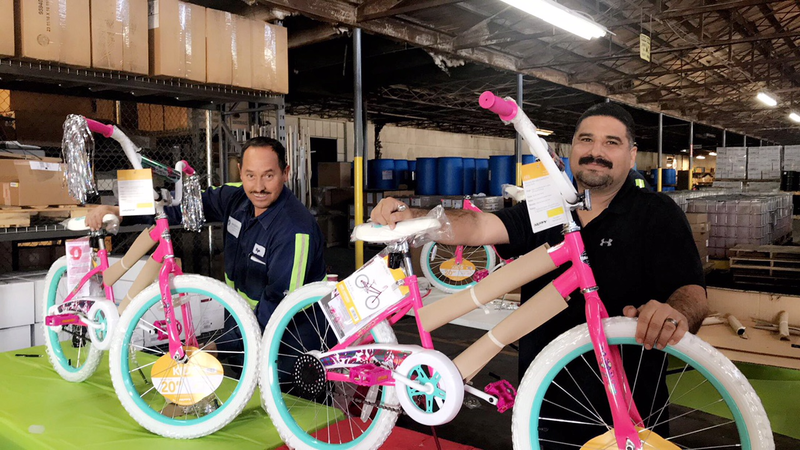 Omar Galindo and Roberto Correa are seen putting the finishing touches on two freshly assembled bikes. 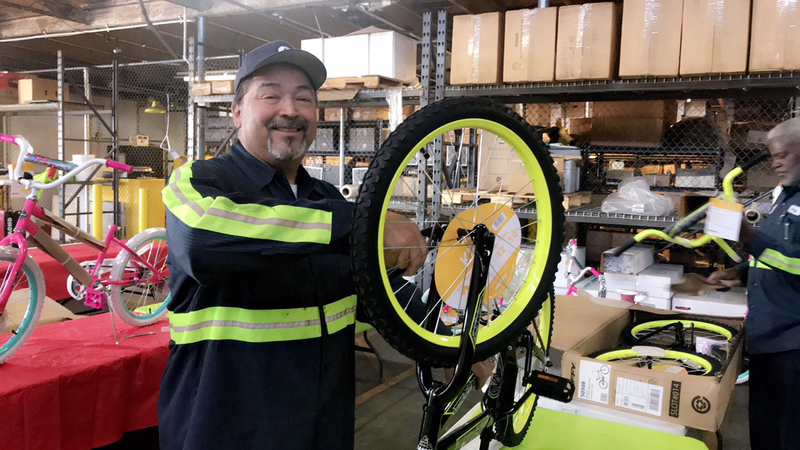 Israel Trujillo tightens up the wheels on a junior bmx bike. Fred Garcia, Brian Davis, Chris Goff and Shane Caswell stopped by to join the team hard at work.